"The river was originally known among the Southern Pomo as Ashokawna, "east water place" or "water to the east", and as Bidapte, "big river". 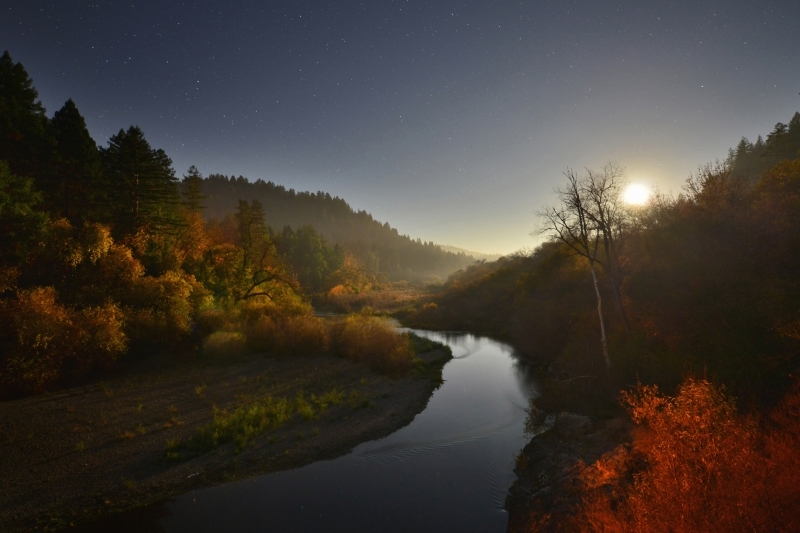 -Robert Oswalt I've wanted a photo of the Russian River for years since it is such a centerpiece of our region, but discovery of good scenes has always eluded me due to so much urban development along the river. On this evening I had planned on going to the coast but forgot to put gas in my car in time, so I stopped at this location because of the huge rock outcrop from which the photo was taken. I was delighted to find very little light pollution in this location just off river road, and to capture my first print-worthy photo of this beautiful river and forested surroundings.